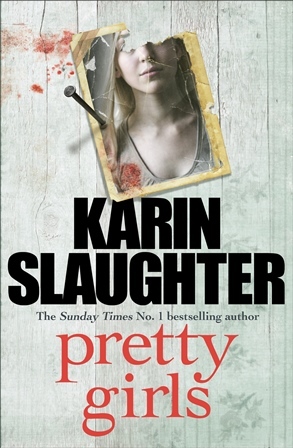 Pretty Girls opening line: When you first disappeared, your mother warned me that finding out exactly what had happened to you would be worse than never knowing. And it was! Julia’s disappearance tears her family apart in more ways than one. Julia’s father leaves the family home and becomes obsessed with finding out the truth. And when he gets close he commits suicide, leaving his family even more bereft. Julia’s mother moves on in the stoic manner she is best known for. Lydia falls into a life of drugs and crawls her way back to normality, without the love of her family. And Claire finds love in a man she believes to be perfect. But when he dies, her life starts to unravel and with it, the truth of the amount of abuse she has endured for years, without even realizing it. When this book landed on my desk I decided to save it for our overseas trip. But then I thought I would slowly read it, so that I could be just starting a new book the day of our first flight. But, once I picked Pretty Girls up and started to read it, I could not put it down. Strength comes in many forms, and the truth will shock you. Will be looking out for this one – have read a few of her other titles and enjoyed them and this one sounds right up my alley. I love books that you can’t put down! Sounds like a great book for a flight! 😀 Love that first line too. Hi Tandy, I enjoy reading books like this!! This sounds like a very intense read, Tandy. That first sentence is brilliant for drawing you in.